A ductless air conditioning unit is a mounted indoor unit that is usually combined with an outside compressor. Unlike big window units, ductless units only need a small hole drilled into the wall. This makes the units less vulnerable to air leakage so that means that more air actually stays inside the room than being spilled out. This in turn keeps the room cooler. Ductless AC Units are much quieter than the noisy window units many of Us are used to. Ductless AC Units are more efficient than other air conditioning units. They use small holes to connect the unit to an outdoor compressor so they let less air out, Because of this they can keep the room cooler and will not have as much work to do. 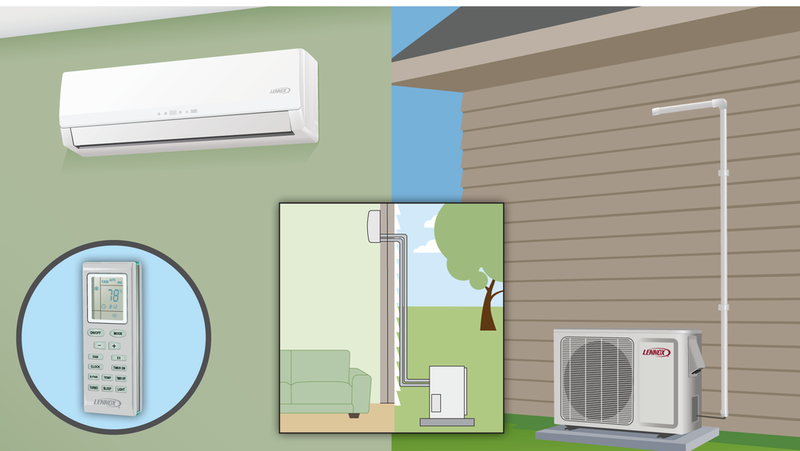 For more information on ductless AC or if you would like to have ductless AC installed in your home, give Tru Temp a call. We can help you lower that AC bill and keep your home cool.